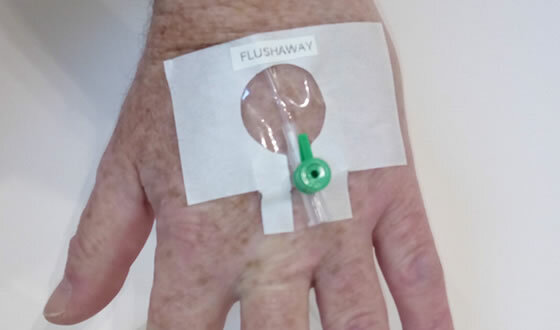 Our latest product is currently under development and is made from two forms of our soluble material, these cannula dressings can be made to any size or shape and secured to the cannula site. When removal of the dressing is required, instead of the all too familiar pain and discomfort from traditional dressings, these dressings can be simply flushed or gently washed away by water/saline spray or wet sponge. This type of cannula dressing would be ideal for short term treatment and when the patient is bed ridden, especially for burns injuries. A team of academics led by Professor Robert Keatch, Head of Engineering and Applied Sciences School of Science and Engineering at the University will be working alongside Mccormack Innovation to take this Wound Dressing project forward. Dundee University is a world leader in the R&D of life sciences.